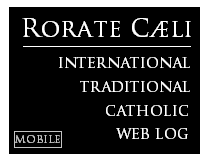 RORATE CÆLI: Stripping a city of its churches: the greater act of iconoclasm that is "Making All Things New"
Stripping a city of its churches: the greater act of iconoclasm that is "Making All Things New"
In recent weeks much attention has been paid to the unexpected removal of most of the icons that had adorned Christ the Saviour Church in Manhattan since 2005. Our friends over at 1 Peter 5 have a good rundown of the situation (Naked in New York: The Unceremonious Stripping of Our Saviour), which has been denounced by many Catholics as an outburst of iconoclasm. 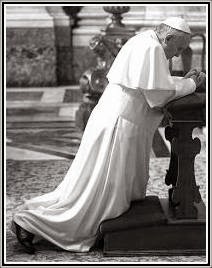 What is certain is that whatever the current pastor of the parish is up to, it is not merely the integral restoration of the church to its pre-Conciliar or a more "Roman" look: otherwise he will also have to remove the "ad populum" table-altar. No one seriously expects the same man who squelched his own parish's Traditional Latin Mass to take that step. What is happening in Christ the Saviour, however, seems to be a small but fitting symbol for what is arguably a greater act of iconoclasm, broadly understood: the closure of numerous churches in the "capital of the world" and its environs. Today (August 1) is the day when "Making All Things New" takes effect in the Archdiocese of New York -- the latest and largest wave so far of parish closures and mergers in that Archdiocese. Two decrees (November 2, 2014 and May 8, 2015) announced that a total of 141 parishes (originally 143) out of 368 were to be merged into 68 new parishes. 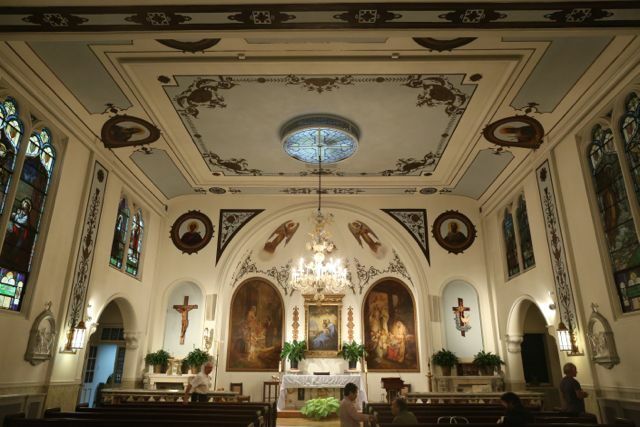 While some of the churches deprived of parish status are to remain open for regular Masses, a total of 39 churches (thirteen of them in Manhattan, including the only two of the 39 whose parishioners are currently appealing their churches' closure before the Vatican) will be effectively closed -- or, as the Archdiocese euphemistically puts it, they will become "church(es) which may be used on special occasions, (but) Masses and sacraments will no longer be celebrated on a regular basis." Of course, few actually believe that they will be kept standing for long. More ominously, "Making All Things New" foresees "evaluations" of every parish in the Archdiocese every two years, which means that more parish closures can be expected before long. From the purely artistic and architectural point of view many of the churches are not significant, but some are real gems of the city, such as St. Stephen / Our Lady of the Scapular which is not only one of the largest Catholic churches in New York City but is remarkable for its frescoes (by Constantine Brumidi) and its copious amounts of stained glass. St. Stephen / Our Lady of the Scapular. Closed today. Source. This is just the latest wave of parish closures in the Archdiocese, which according to Catholic Hierarchy had 413 parishes as late as 1999 and 409 in 2004. Dozens of parishes were already closed under the late Cardinal Egan. 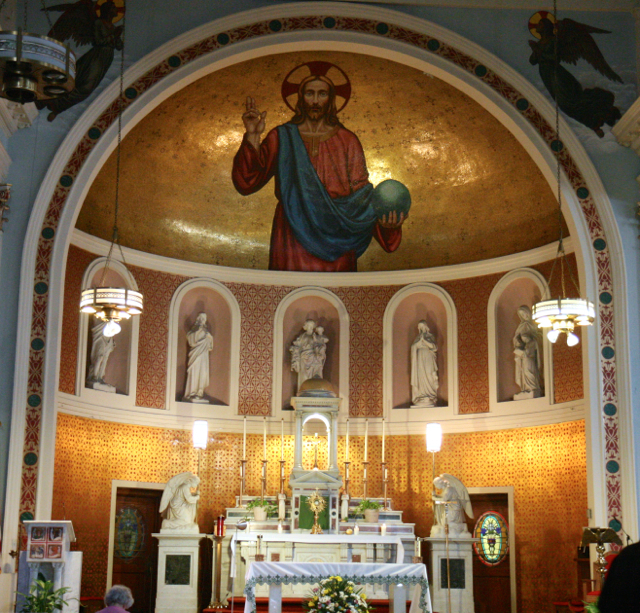 One parish closed during his tenure, Our Lady of Vilna, was totally demolished just a few months ago and it was neither the first nor will it be the last NYC parish to face this fate. The collapse in parish numbers from 409 to 295 in just 11 years is a catastrophe no matter how one looks at it, even if it is labeled as "making all things new". Behind the collapse in parish numbers is the collapse in Catholic belief and practice in what was one of the great powerhouses of the Church universal: the Archdiocese itself reportedly claims that only 12% of its flock regularly attends Sunday Mass. No doubt a disproportionate number of Mass attendees are elderly. If Fr. Rutler is correct the Mass attendance c. 1965 in New York stood at more than 60%. St. Joseph’s (St. James and St. Joseph). Closed today. Source. The parish closures are not just about money and church attendance, but also about vocations and priest numbers. Catholic Hierarchy notes that the Archdiocese of New York had 1,260 diocesan priests in 1962 (a time when few priests lived to "retire" at a very old age), while as of 2013 it had only 769. 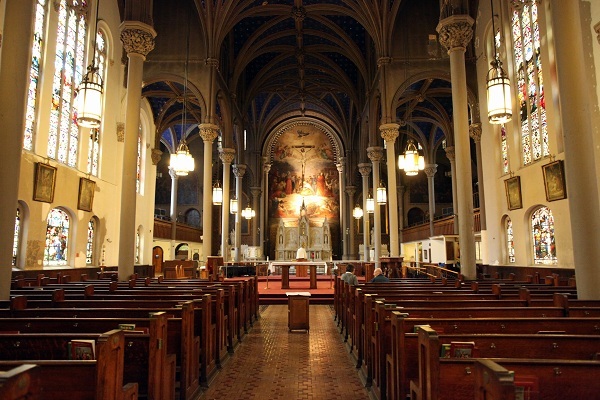 Apparently, nearly half of that number are retired in one way or another; a report on NYC Religion from last year put the number of Archdiocesan priests available for active parish ministry at 365. Compared to the Catholic media's coverage last year of this process, the actual closing of the parishes has been little noted or discussed today, so far. Our Lady of Peace. Closed today -- despite a pending appeal before Rome. Source. This, ultimately, is the worst form of iconoclasm: when churches and chapels are closed (and not replaced) in the dozens, in the hundreds, in the thousands: not by persecutors, not by rampaging heretics, but by hands of our own Church hierarchy, as the price of decades of failure to preserve and defend the faith that raised these churches and the liturgy that gave them life and meaning for so long, all for the glory of God and the salvation of souls.